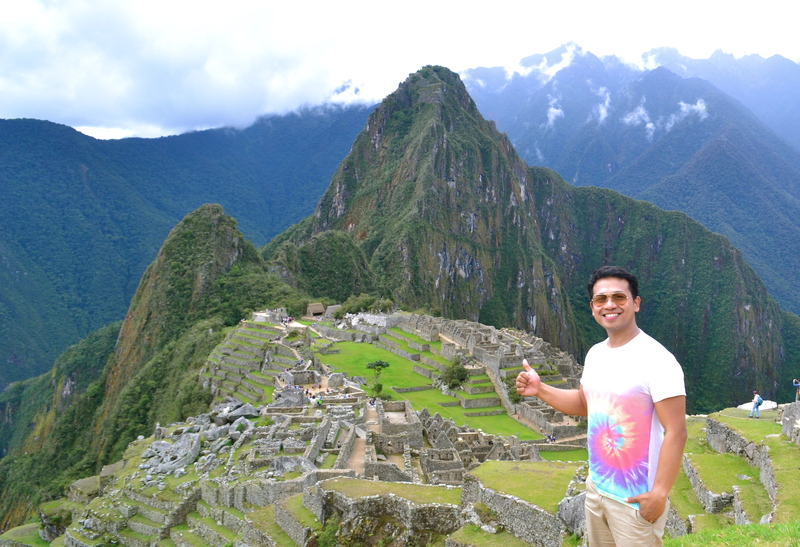 Machu Picchu is the most familiar icon of Inca civilization and it is one of Peru’s greatest man-made treasures having been preserved and untouched by the Spaniards when they came rumbling through South America. 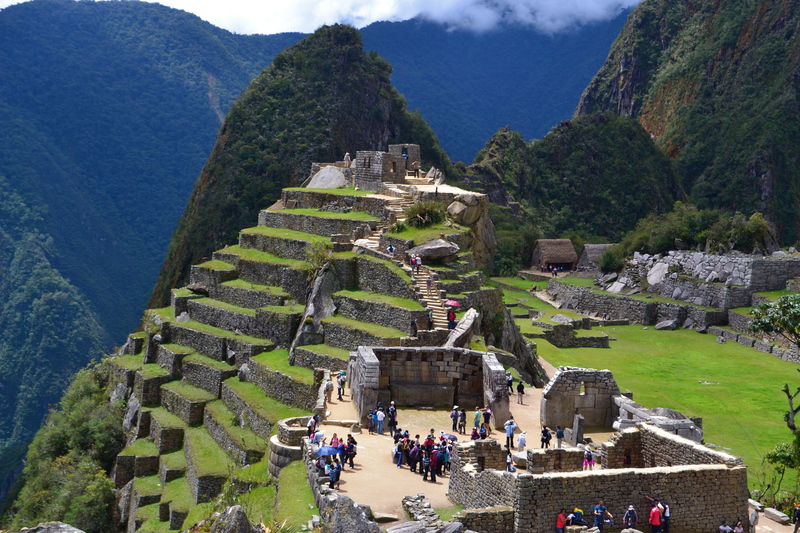 The ancient site has been voted as one of the New 7 Wonders of the World. 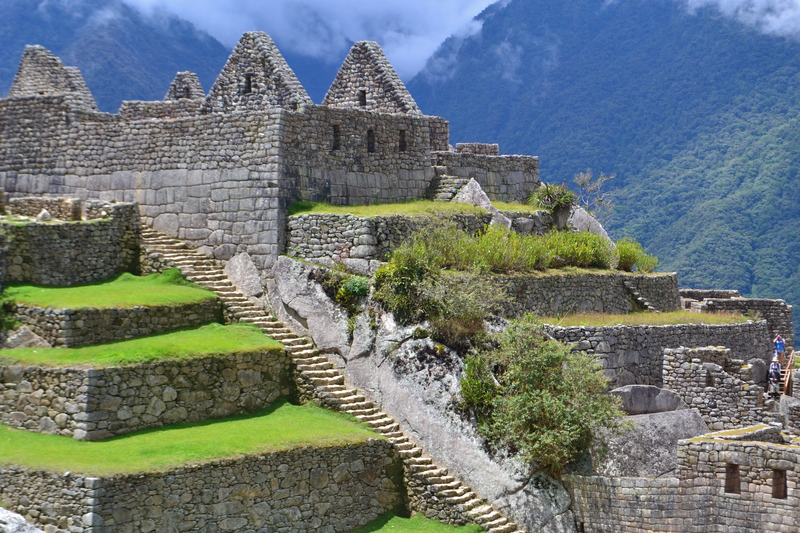 It has also been declared a UNESCO World Heritage Site in 1983. 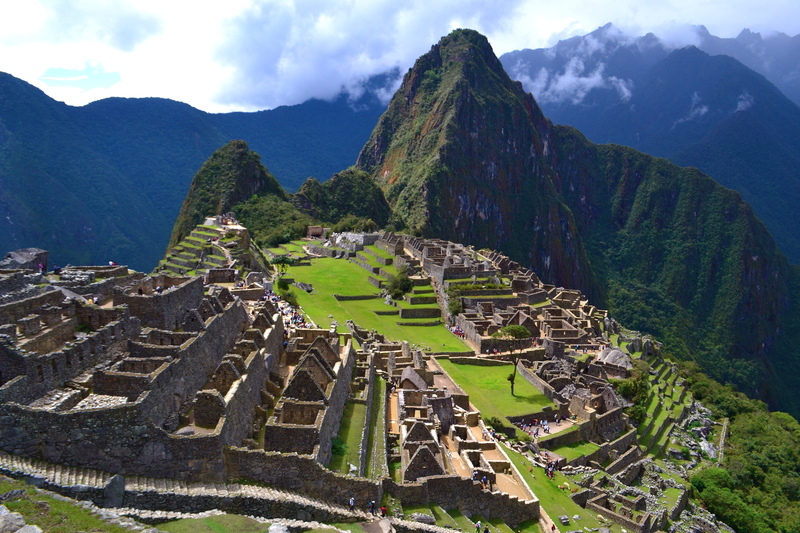 You can save a lot of time in visiting Machu Picchu if you fly direct to Cusco from some Central and South American cities thereby missing Lima which is actually too good to pass. 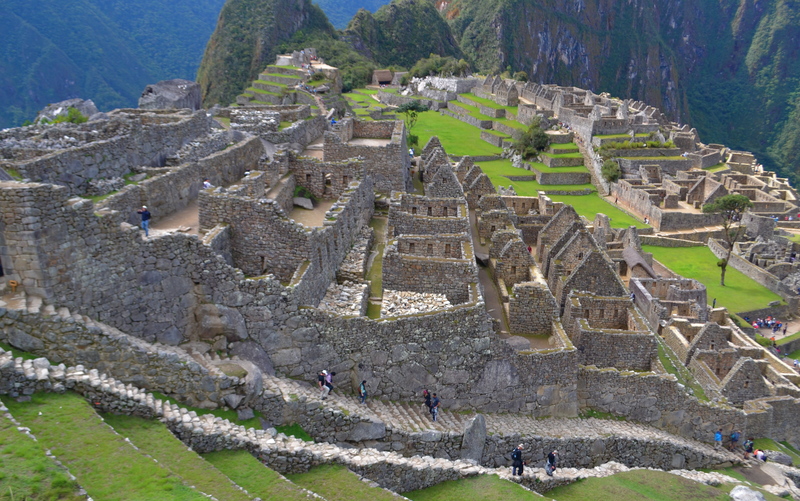 Otherwise, if you are coming in from the U.S. mainland, you need to fly to Lima first and then fly to Cusco like we did. (You can click here for my blog on colorful and bustling Lima.) 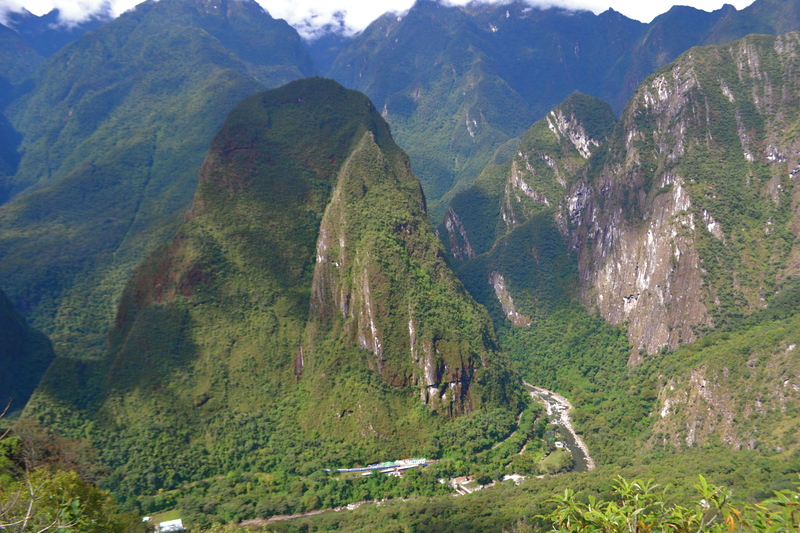 You can either base yourself in Aguas Calientes area at the base of Machu Picchu or Cusco or the Sacred Valley which is two hours away from Machu Picchu. 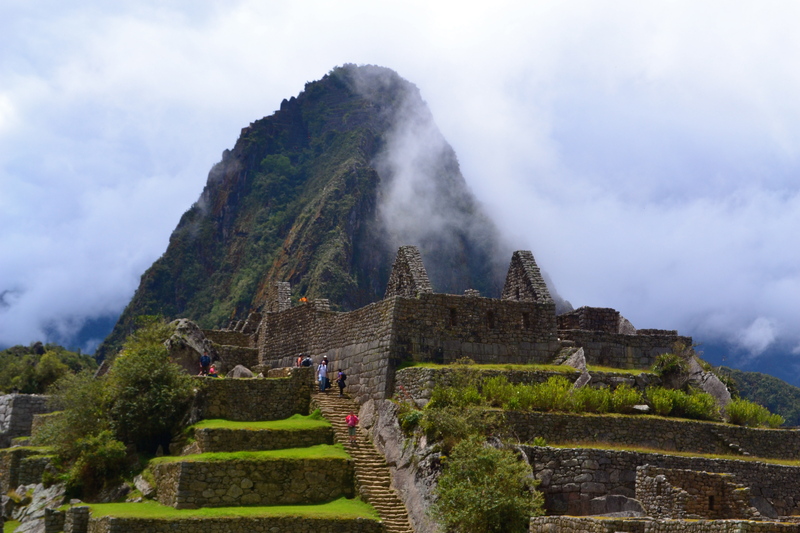 We stayed in a hotel in Cusco for a few days and we just allotted a whole day tour of Machu Picchu. 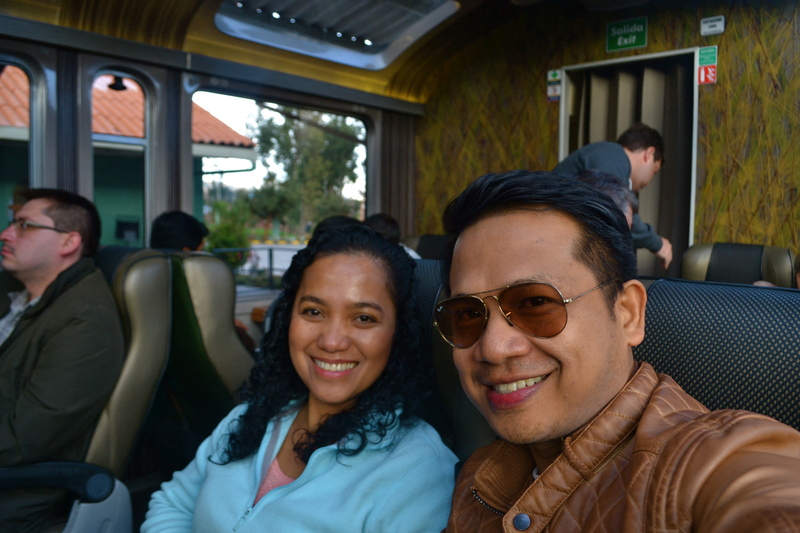 We left our hotel in Cusco very early in the morning for our 8 a.m. train ride to Aguas Calientes originating from Poroy train station, 30 minutes taxi ride away from the city central. 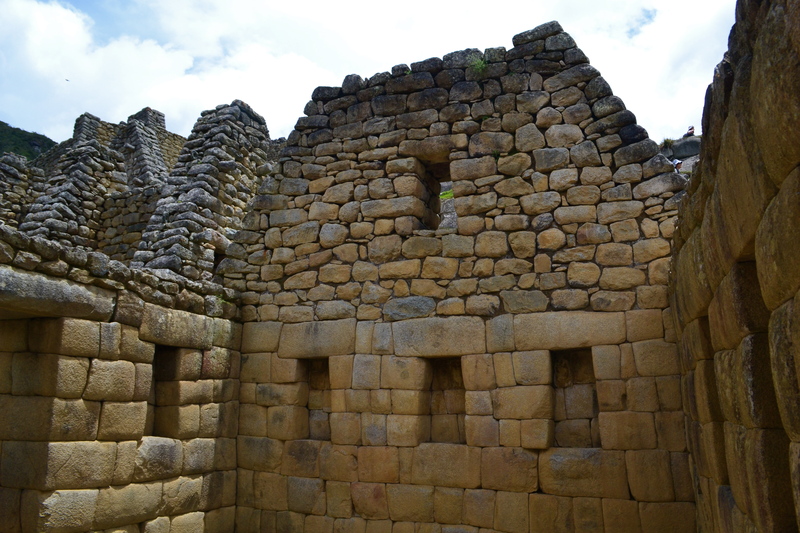 We have arranged with our driver the day earlier at the Cusco airport for the taxi ride to Poroy. The hotel staff in Cusco can also help you pre-book a taxi or get one on the spot. Our train was on time for its departure. 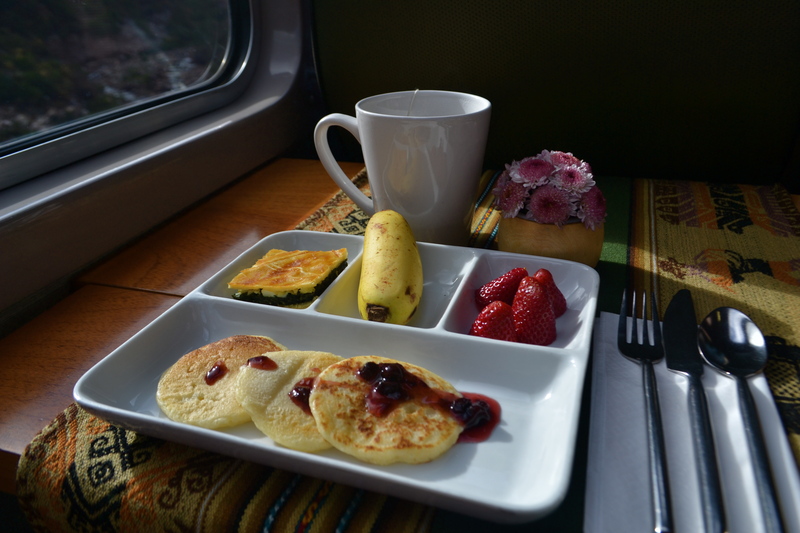 For the train, you can choose between the cheaper Vistadome and the more expensive and luxurious Expedetion. 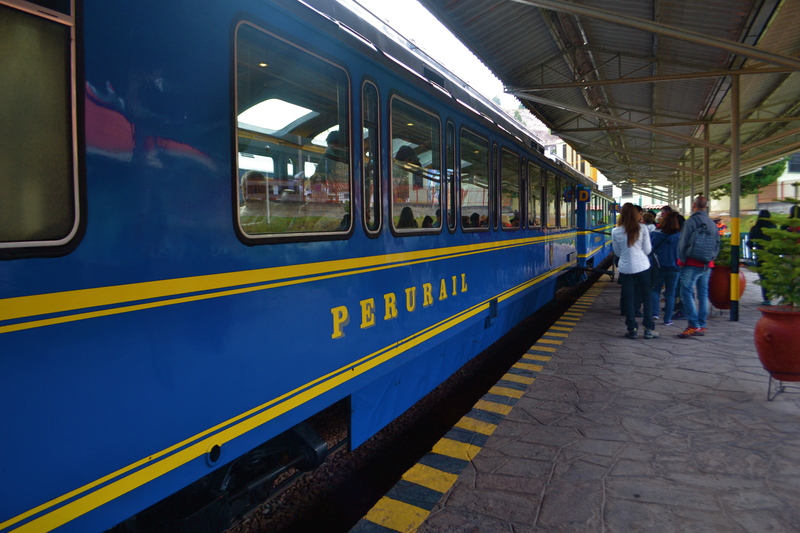 You can book train tickets directly at PeruRail website. 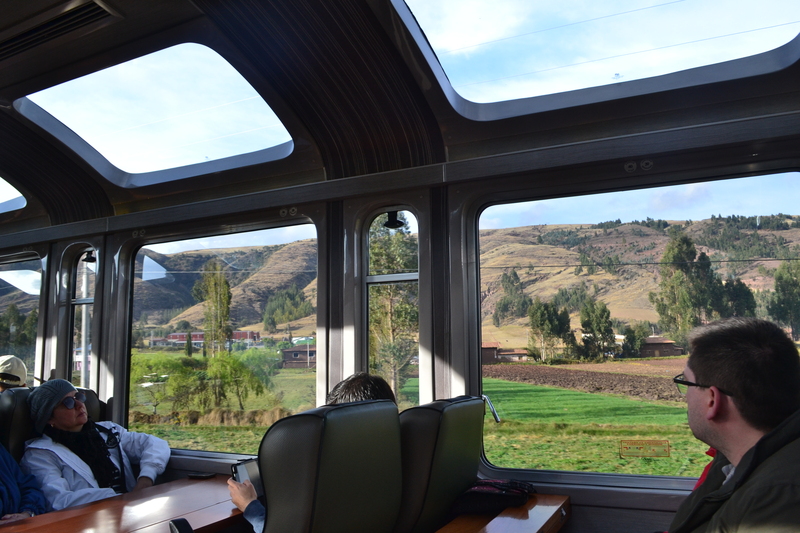 Through the train’s huge large and transparent windows and ceiling, we enjoyed the view on our way to Aguas Calientes. 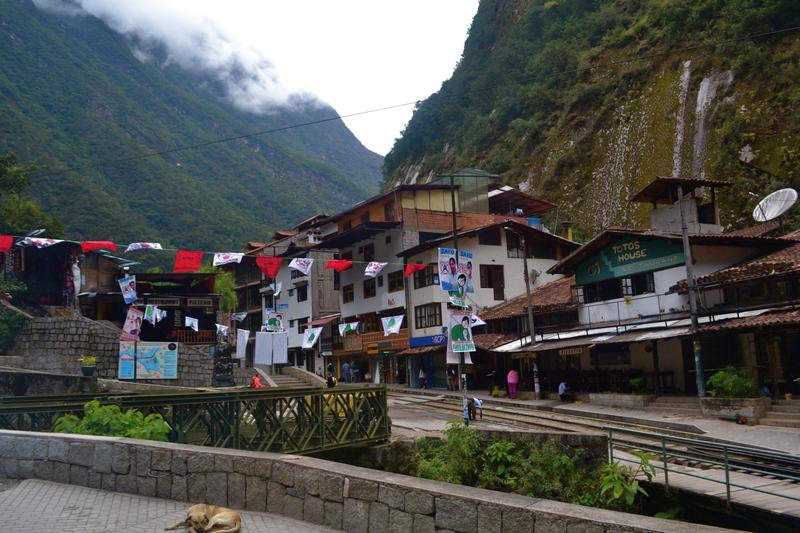 Finally, we arrived at the Puente Ruinas train station at the end of the laid back town of Aguas Calientes. You can opt to base yourself here for a few days if you want to explore more of the neighboring attractions like the Sunday Market. We were greeted by the travel agency representative from whom we had bought bus tickets in advance. 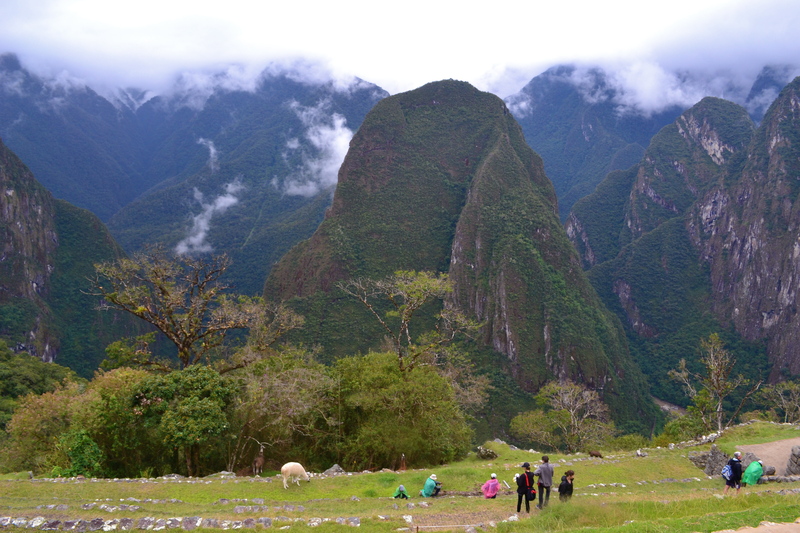 We were led to the bus queue going up Machu Picchu. 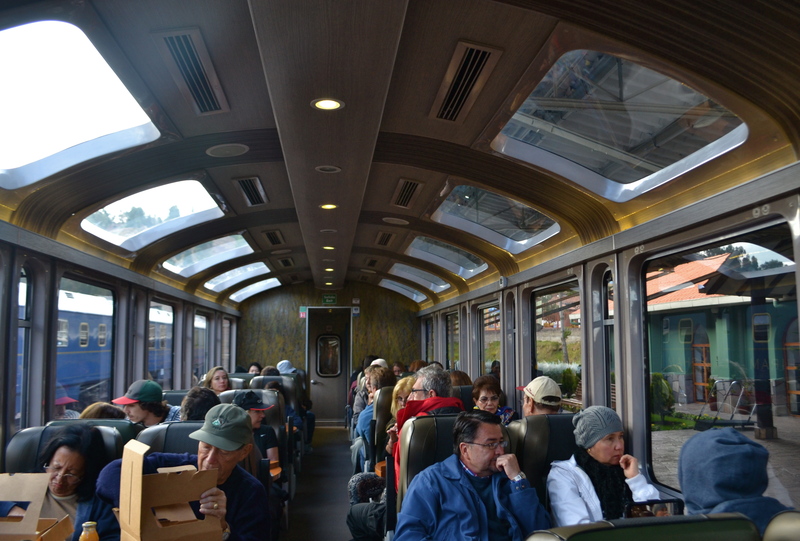 The bus is just one of the options for you to reach Machu Picchu from the train station. 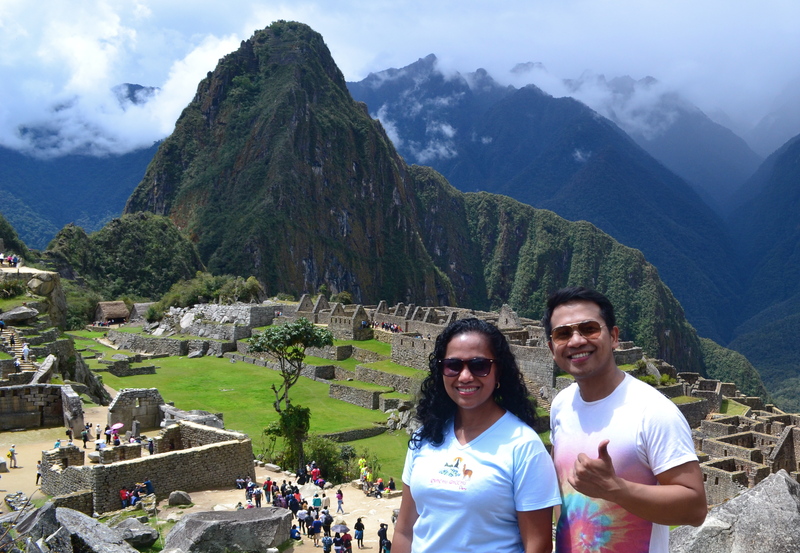 Another option would be to hike around 3km for around 45 mins up to Machu Picchu. Since we did not have much time, we decided to take the one day tour and go up via the bus ride. The bus would leave every 10 minutes. 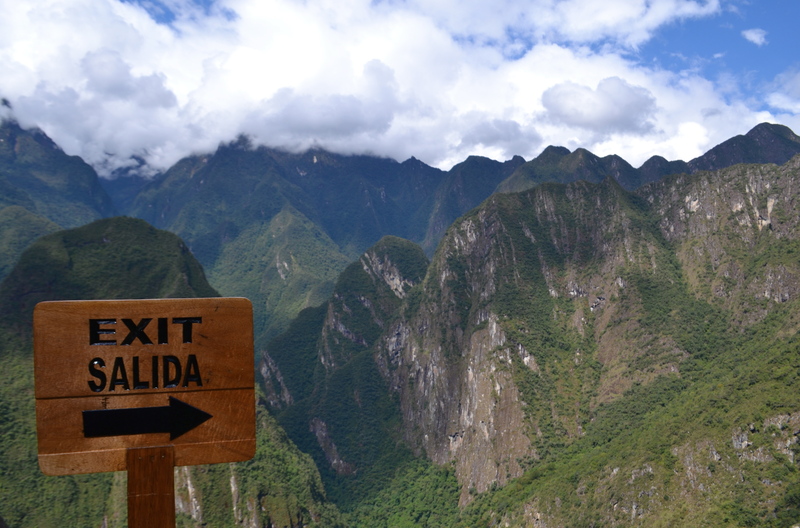 The more adventurous travelers can join the 1-day or 3-day hike via the famous Inca Trail. The view going up 7,970 feet above sea level was absolutely breathtaking and at the same time spine-chilling. The winding roads do not have side protection and you could see the sceneries below directly from your bus seat. 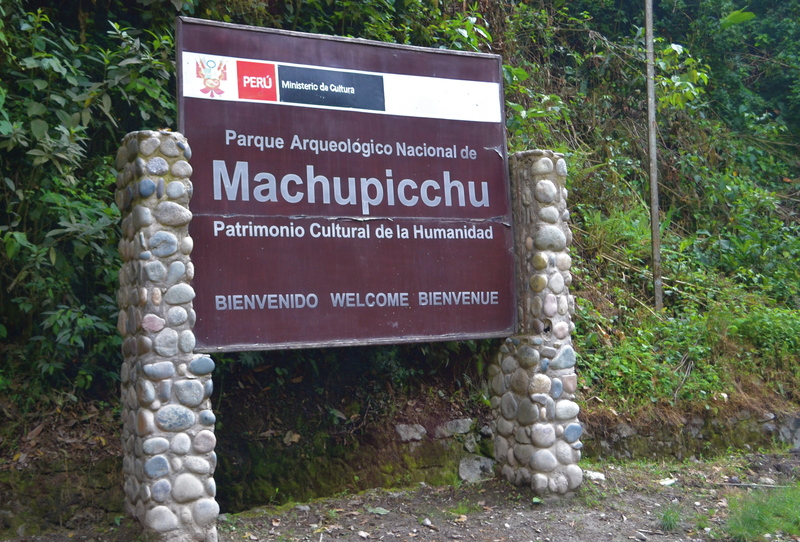 We arrived at the entrance of Machu Picchu after 20 minutes. We waited for our tour guide to call our names at the time we were scheduled to enter. When purchasing the entrance ticket, you would need to select the time of your entry to the site. 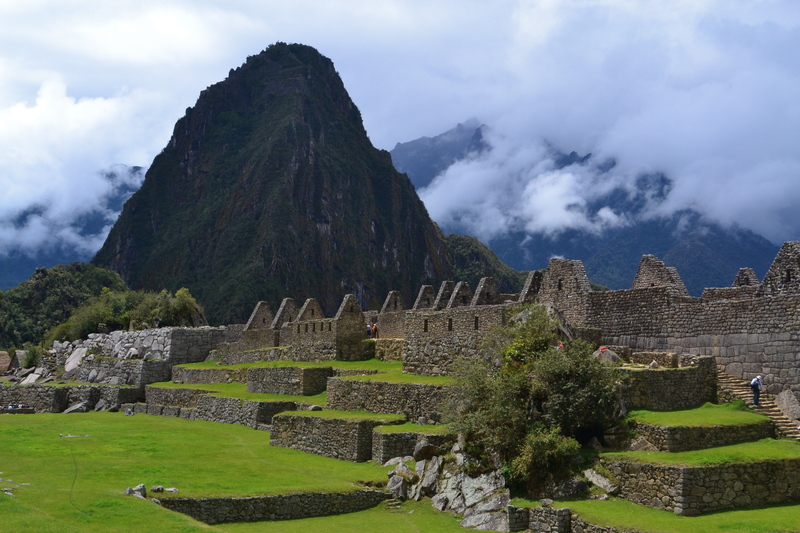 Do not risk of getting no entrance tickets to Machu Picchu especially if you are only one a one-day tour so book in advance. Take note that the number of visitors are limited per day at certain time allocations. You can book at this website. 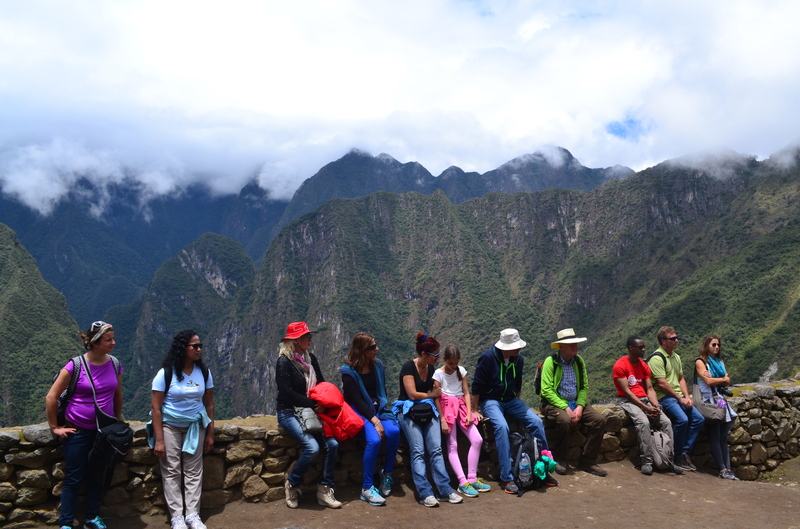 Our tour by the English-speaking guide started at the side of the ancient site overlooking a spectacular mountain range. There were around 20 tourists with us. 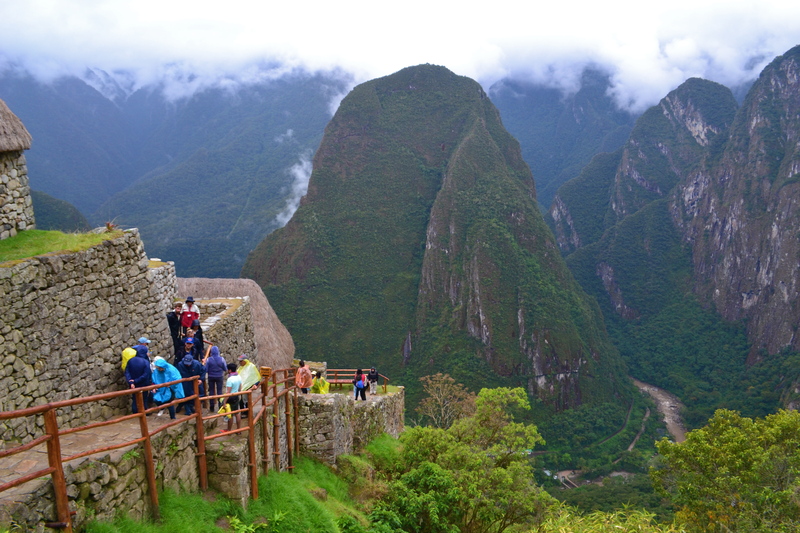 It was actually raining when we started the tour but as the tour guide told us, rain in Machu Picchu is just always passing and do not be disappointed as the skies will clear in a few minutes after a sudden rainfall. I suggest that you bring a disposable raincoat with you. There are also umbrellas being sold at the site entrance that you can use to protect yourself from both the sun and the rain. 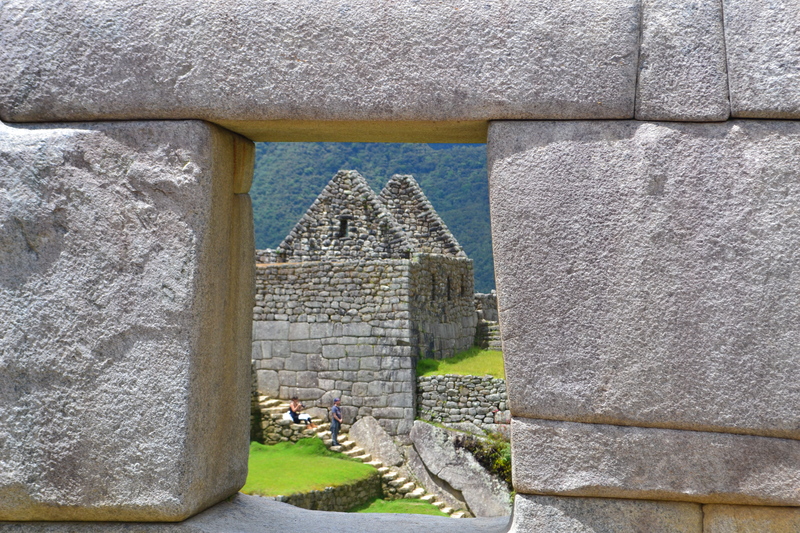 Machu Picchu was built in classic Inca style, with polished dry-stone walls. We then started to descend for a lower view of the ruins. I was actually starting to get bored halfway through the tour as I wanted to go up immediately to the highest point where the classic view of the site of the ruins could be taken. In a few minutes we started to go up. I was really awestruck at the ruins and the layout. 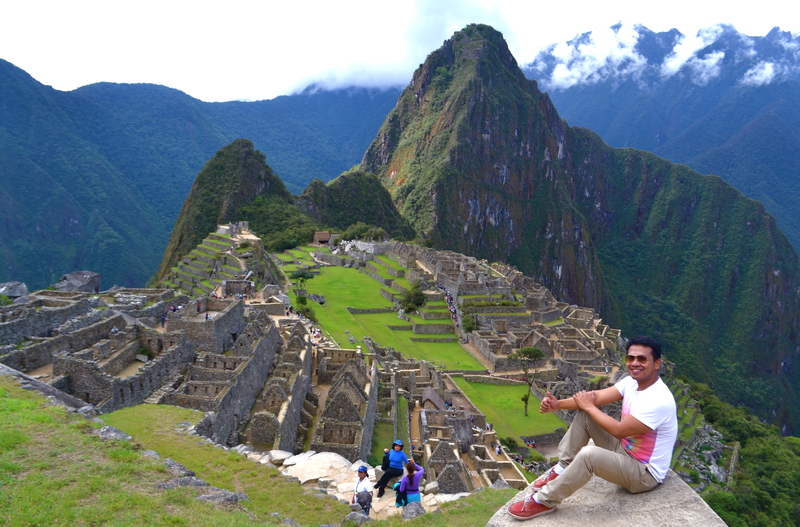 Finally, the classic Machu Picchu shot! 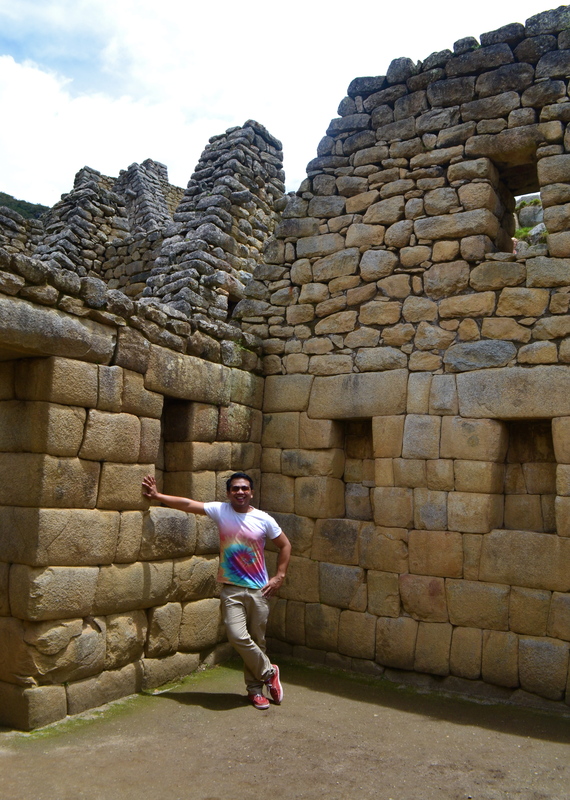 Machu Picchu ruins and myself. We were truly thankful for the excellent weather and safe travels. 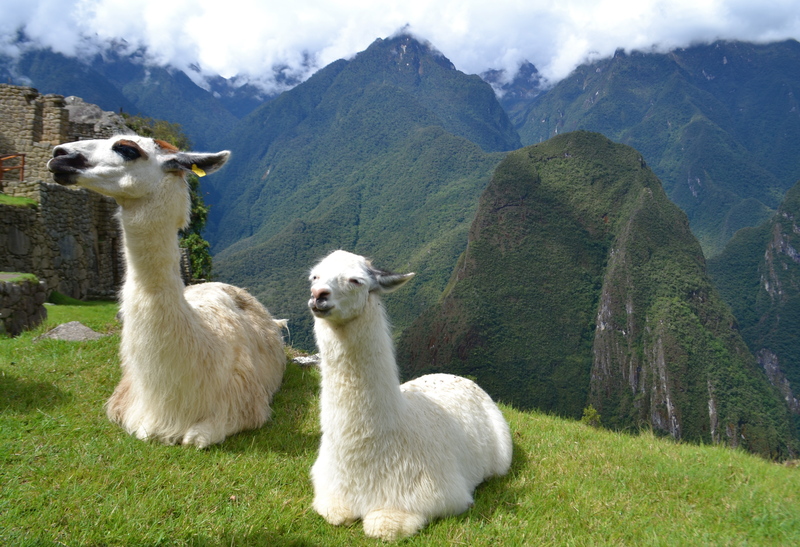 Alpacas abound in the area and they have been giving nature accent to the surroundings. 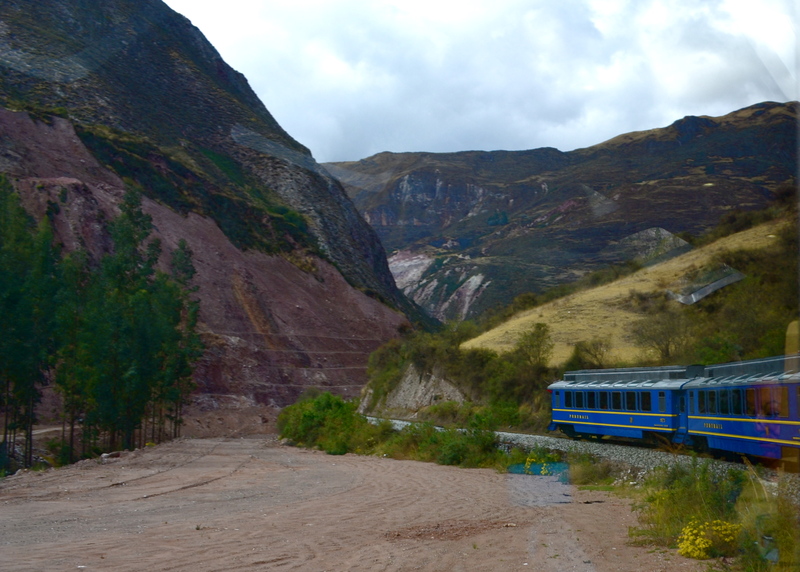 And it was time to go and catch our train ride back to Cusco. 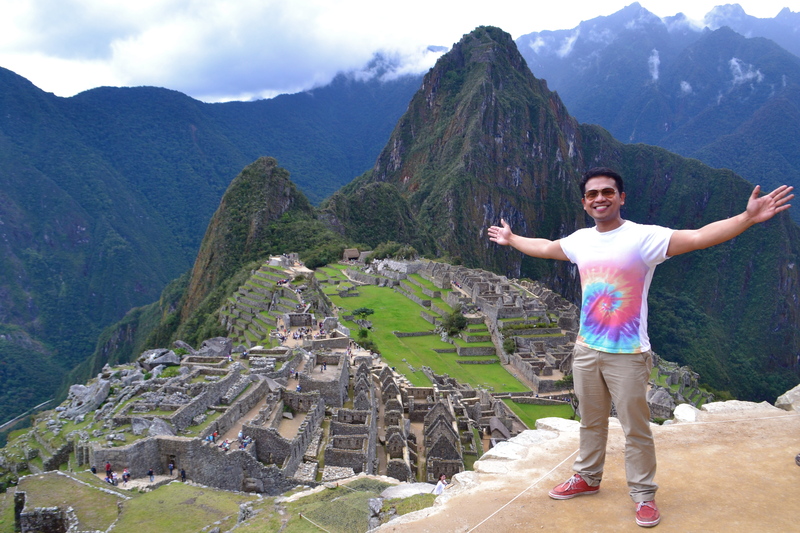 It was truly a dream come true for me to visit Machu Picchu. 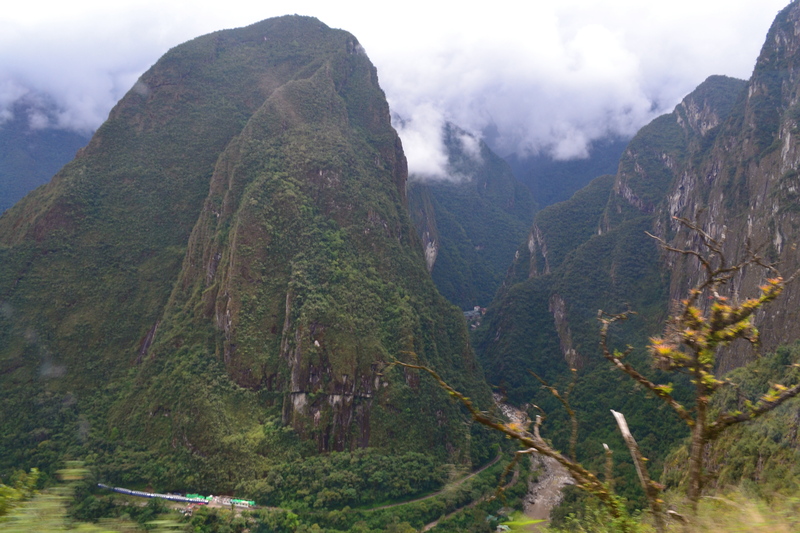 The entire trip was challenging from planning to booking especially the connections from Lima to Cusco to Aguas Calientes/Machu Picchu but everything was indeed worth it.